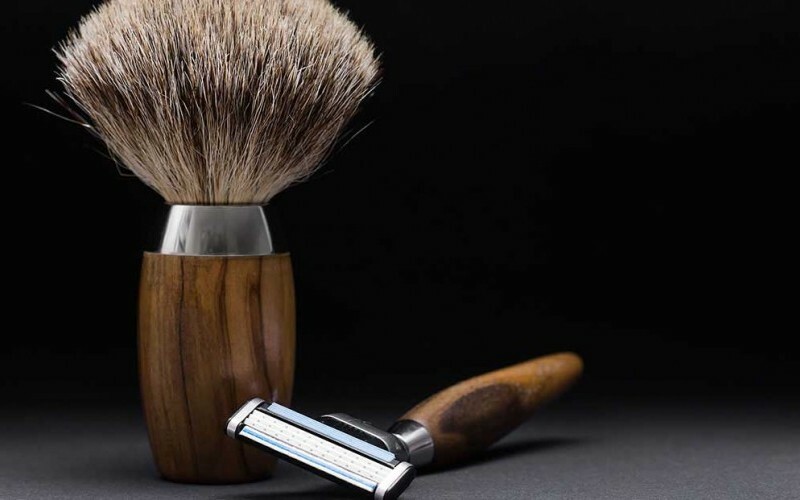 Are You Making These 5 Common Wet Shaving Mistakes? Shaving isn’t rocket science, but getting a close shave does require precision. However, once you learn the basics, shaving your face can become a mindless routine. The shaving skills you learned as a teenager probably include several bad habits you’re unaware of. If you’ve been using the splash-and-go technique, it’s time to stop. No matter how hot the water is, your face needs more than a splash. Wash your face with a gentle face cleanser and warm (not hot) water. Avoid body washes and regular soap because you don’t want to strip off too many oils from your face. Be sure to scrub your neck as well. Rinse with warm water. Soak a hand towel in hot water and wring it out. Wrap the hot, steamy towel around your face and neck for about 3-5 minutes to soften up your skin and whiskers. Then, proceed to lather up and shave. When lathering up, remember to take care in the process. Don’t use your hands, even when using shaving cream. Use a shaving brush to get the lather between each whisker, and create a slick surface for your razor to glide over. If you were born in the 1990s or later, you probably learned to shave with disposable razors and switched to cartridge razors when you realized there was a better option. Cartridge razors aren’t the best, but as long as you don’t have curly hair, multi-blade cartridge razors can do an okay job. While they won’t give you a perfectly smooth shave, they can get pretty close. Although, “pretty close” isn’t good enough when you’re after a perfectly smooth shave. The only razors that will give you a perfectly smooth shave are straight razors and safety razors. The irony is they’re actually easier to use, provided you learn the right technique, which brings up the next mistake. Two unproductive shaving techniques get learned while compensating for an inferior razor: pressing the razor hard against your face, and going over the same area multiple times until the razor finally gets all the hairs. Neither of these techniques are efficient. Pressing the razor into your face is not only unnecessary – it doesn’t work. Razors don’t cut stubble and hair by being pushed into the skin. A razor will give you the closest shave with a light touch on a flat surface. Both straight and safety razors will give you a clean shave on the first pass when you stretch your skin tight to create a flat surface. For the best shave, use gentle, short strokes with minimal overlap. When it comes to shaving your face, the angle of your blade is everything. An angle that’s too steep will give you razor rash. Unfortunately, some cartridge razors put their blades at too steep of an angle, and you’re not going to get a good shave with these. This is also part of the reason electric razors don’t produce a perfectly smooth shave – they don’t cut hair at the right angle. The best way to get the right angle is to wet shave with a classic straight or safety razor. With these razor styles, you have complete control over the angle of the blade and you can change the angle based on the area you’re shaving. Just because your razor club sells wet wipes, shampoo, body wash, and toothpaste doesn’t mean you need to buy them all. If you belong to a razor subscription club, you joined to get razors delivered to your door – not all the extras. There’s nothing wrong with buying extras you’ll actually use, but don’t let your bathroom become a graveyard for unused shaving products you “just wanted to try out.” The $20 you spend on frivolous extras each month could buy you and your friends a box of tacos for your movie night. Most bad habits are developed because of inferior tools. To avoid developing the bad habits outlined in this article, try using classic tools. Get a safety razor, some shaving soap, a brush, and a scuttle, and shave like your grandpa shaved back in the day. You just might start enjoying the art of shaving.